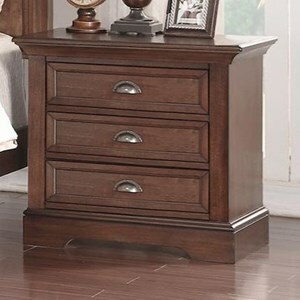 The Barnwell 3-Drawer Nightstand with Felt Lined Top Drawer by Winners Only at Colder's Furniture and Appliance in the Milwaukee, West Allis, Oak Creek, Delafield, Grafton, and Waukesha, WI area. Product availability may vary. Contact us for the most current availability on this product. Case Detail Tapered and turned legs with concave groove. Drawer / Shelf Construction French dovetailed drawers. The Barnwell collection brings a touch of farmhouse style to any home. Turned legs and Bun Feet complete the quaint farmhouse design. 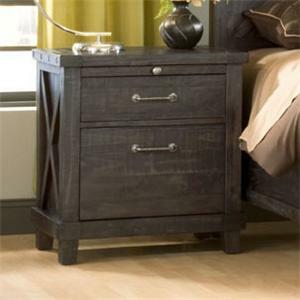 The Barnwell collection is a great option if you are looking for Relaxed Vintage Casual furniture in the Milwaukee, West Allis, Oak Creek, Delafield, Grafton, and Waukesha, WI area. 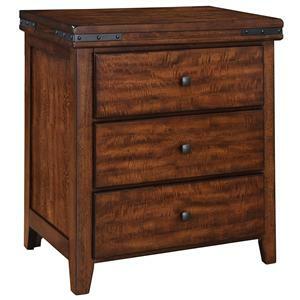 Browse other items in the Barnwell collection from Colder's Furniture and Appliance in the Milwaukee, West Allis, Oak Creek, Delafield, Grafton, and Waukesha, WI area.